We are honored to announce that One Small Step has become a festival and audience favorite, garnering 29 festival awards, 2 grand jury awards and 69 official selections! The complete list of awards and accolades can be found here. TAIKO Studios is proud to announce the official online release of One Small Step, available on Youtube, Vimeo, Facebook, Tencent Video, iQiyi and Youku. 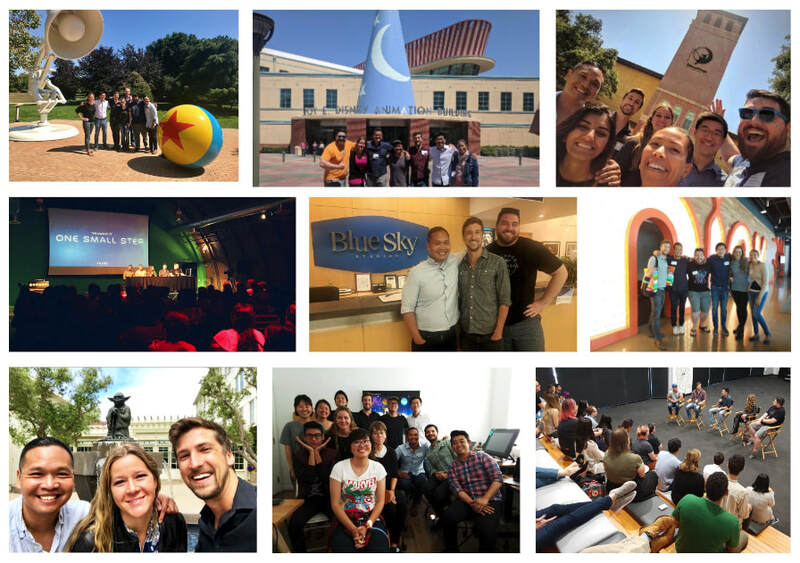 The TAIKO team traveled across the country to present One Small Step including Pixar, Disney, Dreamworks, Blue Sky, Nickelodeon, Cartoon Network, ILM, Tonko House, Riot Games, Psyop, Blur, Gnomon and more! April 12, 2018 - TAIKO Studios is proud to present the official trailer for One Small Step! TAIKO Studios will be previewing One Small Step at Gallery Nucleus on Saturday May 12th, 2018 (7pm - 10pm). Admission is free, limited to 100 seats with standing room available. In addition to the screening, there will be a discussion panel, Q & A and book signing! November 16, 2017 - TAIKO Studios presents the official teaser for One Small Step! 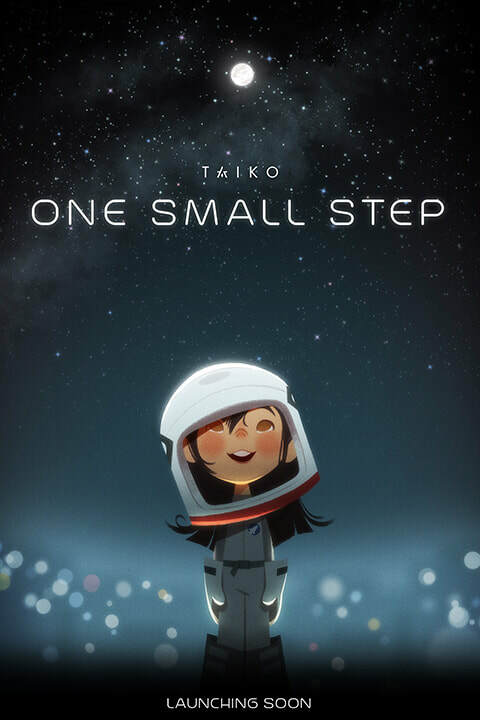 October 30, 2017 - TAIKO Studios unveils its first project, One Small Step. The original short film follows the story of Luna, a Chinese American girl who dreams of becoming an astronaut. Student Academy Award-winner Shaofu Zhang and veteran Disney animators Bobby Pontillas and Andrew Chesworth bring vision and verve to a touching story of hope through striking art direction and crisp storytelling. “One Small Step is our love letter to everyone who chased that impossible dream and the family that supported them through it,” co-director Andrew Chesworth explains. Chesworth’s experience animating for Disney spans nine productions over six years. Prior to Disney, he directed over 30 commercials and short films for studio Make, LLC. “Early on, we fell in love with the sharp visual style of Bobby’s artwork. The bold directness of his design was always the target we aimed for,” remarks Zhang. Complementing the art direction, Joy Johnson joined TAIKO as CG Supervisor to establish a state-of-the-art animation system to meet the demands of the unique look. In 2014, Joy Johnson was the recipient of the VES Outstanding Animated Character award for her work on Frozen’s Elsa. In addition, she rigged Zootopia’s lead character Nick the Fox. For the new studio, TAIKO’s Pipeline Supervisor Andrew Jennings built a nimble international network bridging workflow across time zones and borders. As Technical Animation Supervisor for Disney’s Inner Workings, Jennings brings a wealth of technical and aesthetic expertise. Heading the animation team in Wuhan, China, Animation Supervisor Erik Lee has grown a talented young team of artists whose dreams of creating amazing work mirror Luna’s hopes of reaching the stars. “We’re proud to be a global company that offers a universal spirit of optimism and inclusion that speaks to all people,” Zhang says. Keep an eye out for One Small Step in the 2018 film festival circuit.